“It’s been a long time since I’ve seen it, actually. I think the reading was the first time I’ve sat and listened to the play for probably five or six years.” The speaker is playwright David Auburn, and the “it” he refers to is his Pulitzer Prize-winning play, Proof, which will be performed by the fourth-year drama class this month in the Stephanie P. McClelland Drama Theater. Harris Yulin will direct—and star in—this month’s production of Proof. 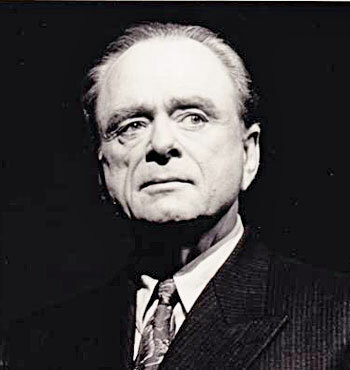 This month’s production of Proof will be directed by Harris Yulin. An accomplished actor as well as director, Yulin reunites with the Group 40 actors (he taught them in several master classes last season) as a cast member in Proof, playing the role of Robert. Having worked together several times in the past (most recently, Yulin directed Auburn’s Amateurs in the Ensemble Studio Theater’s 2010 Marathon of One-Act Plays), Auburn and Yulin—who also took part in the conversation—show an ease with each other as they discuss the inner workings of the play. While Shakespeare wrote, directed, and acted in his own plays, it is rare to see one person wear so many hats today in American theater. Auburn remarks: “I always wondered how that’s done”—acting and directing at the same time, that is. Yulin replies, “It’s not as if you are completely immersed … Part of you is, and there’s a part of you that’s watching the whole thing” from a distance. Proof was first presented Off Broadway in 2000, winning Auburn the Pulitzer Prize, and was turned into a film in 2005. To this day it continues to be performed around the world. The play begins on the back porch of a house in Chicago. Catherine, a young woman of 25, has spent the last several years caring for her mentally deteriorating father, Robert, a mathematical genius who has recently died. Hal, Robert’s former student, is searching through the 103 notebooks Robert left behind in hopes of finding Robert’s last stroke of genius. As Catherine and Hal’s relationship develops, Catherine’s sister, Claire, is trying to plan the next chapter in Catherine’s life. All the while, Catherine struggles to know how much of her father’s genius—and mental instability—she has inherited. “Did you study mathematics?” he asks Auburn.